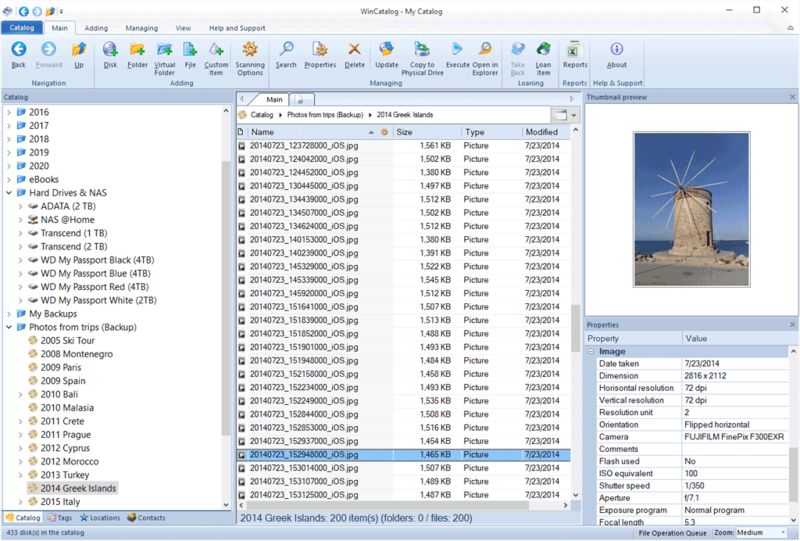 Create a catalog of all your discs, files, and folders: automatically grab ID3 and Exif tags, picture thumbnails, expand archives, ISO files, and more. No typing needed! 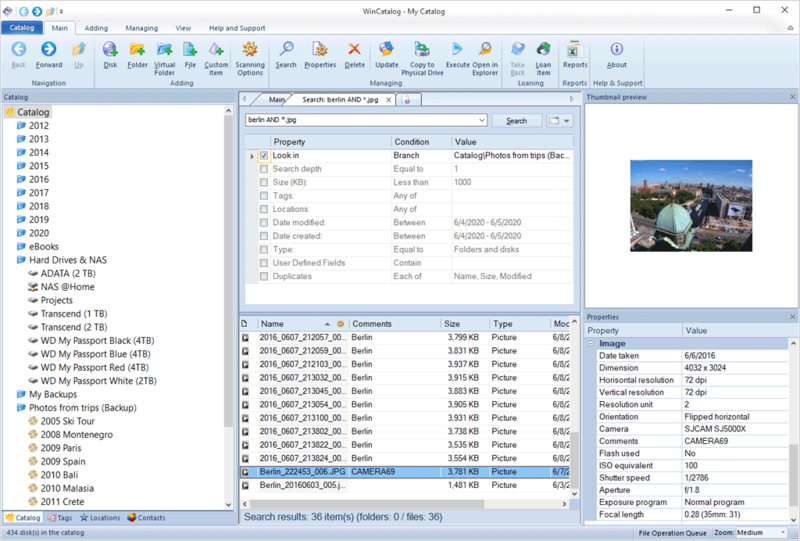 Find files in seconds no matter how big your catalog is. Let WinCatalog scan your discs just once and it will remember all the details! Manage your disc catalog by using categories or virtual folders. Create and assign tags. Browse using the grid or thumbnails view modes. "Excellent software! Thank you for sticking to conventional look & feel as much as possible — it makes the program very intuitive to use. Also, the nested virtual folders alone are worth the money — no one else seems to understand or implement this feature correctly."